Sui He: "The most important thing is that it comes with love and commitment"
PONY RYDER: You are the star of so many campaigns, covers and editorials, that we don't even know where to start! So we'll start at the beginning - what was your first big modeling assignment? 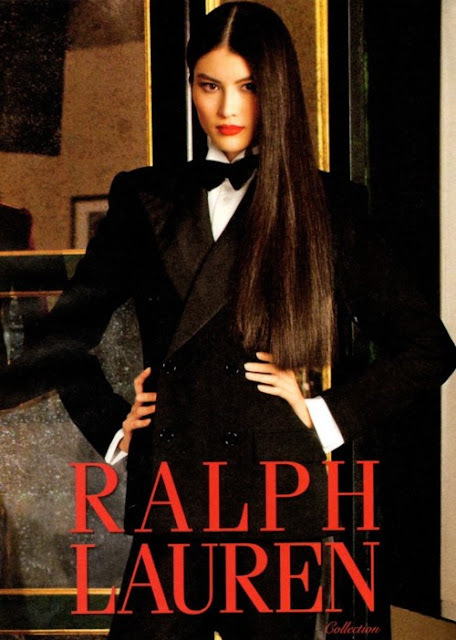 SUI HE: I guess it was my first season in NY, when I opened the Ralph Lauren show and then went on to star in the Ralph Lauren campaign 2011 Fall/Winter, that really opened a lot of doors for me. Being on the cover of Vogue China was also very special to me and of course now being signed as the new face of Shiseido is amazing .. I mean who doesn't want a cosmetics contract ??! PONY RYDER: When you first came to NY, were you well prepared for the ups and downs of the Big Apple and modeling life? SUI HE: I didn't prepare for any ups and downs, I didn't expect any big achievement... In fact I didn’t think about it, I came to NY just for more expierences. I had met my NY agent in September in Paris and then suddenly it was January and I was in NY... He told me I was going to do great; that all these people were asking to meet me, work with me but I just thought OK let's see. Honestly my English was very bad back then, and it's still not good now. PONY RYDER: Who are your favorite friends from the modeling world? SUI HE: Shu Pei Qin is probably my closest model friend. We are always hanging out together during shows or in NY . It's really important to have a friend by your side in this business and it helps if it's someone who understands the industry. Last winter Shu Pei and her husband holidayed with my boyfriend and I .. We went to Thailand and it was amazing. I also really like Nadja Bender, our nickname for each other is 'mushroom' after we bonded at the McQ show in London - where we both had been given hairstyles that made our heads look like huge mushrooms. PONY RYDER: HAHAHA! YES! We saw! And what do you girls do? What does your typical night out look like? 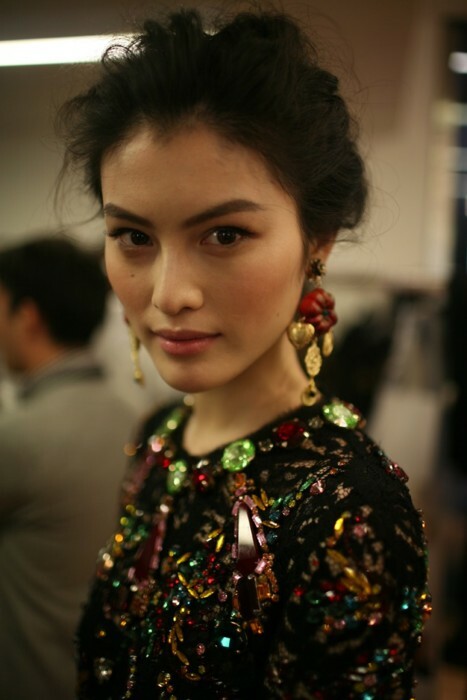 SUI HE: Typically night out would be dinner, laughs, a few drinks, maybe some dancing or karaoke. PONY RYDER: How long before fashion week do you start working out seriously? SUI HE: I swim sometimes. I don't do workout often, actually I seldom work out for fashion week - specially. I would work out if I had free time. PONY RYDER: How long were you preparing for the VS show? SUI HE: I don't prep too much for the show, maybe a few days before I'll have a quick massage or sauna and they always ask us to have a little spray tan before the show. PONY RYDER: Do you own VS lingerie? SUI HE: I love VS lingerie, it fits so well and is such a great value for the money. I own lots of it, I actually can't help popping into a VS store when I walk by one. PONY RYDER: Flats or heels? SUI HE: I am definatley more a "flats" than "heels" kind of girl, I am already 5'10 and when I wear heels my non model girlfriends are also complaining that I tower over them. PONY RYDER: Tell us your favorite shoe brands! 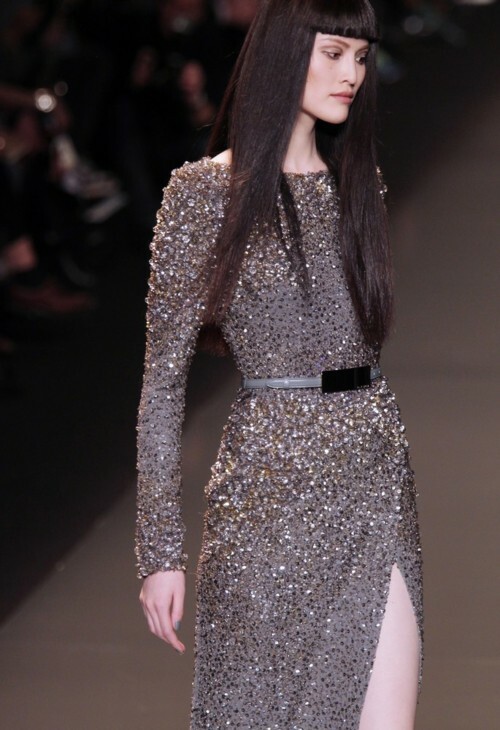 SUI HE: YSL, Celine, Balenciaga, Christian Dior, Jimmy Choo, Jil Sander, Alexander Wang are my favourite brands. PONY RYDER: Lucky you! What are your go-to handbag brands? SUI HE: Christian Dior, Chanel, Celine, Fendi, Prada are my go to brands. PONY RYDER: Which jeans makes you feel the sexiest? SUI HE: I love the cut and design of A.P.C, Balmain and Balenciaga Jeans.. I like low slung and not too long length. I like the look of the Isabel Marant jeans but have yet to try them on and see how they fit. PONY RYDER: What is your favorite cheaper brand of clothes? SUI HE: You really can't beat H&M, they have great affordable clothing with attention to fashion design, I love to mix it with high-end designers. I also discovered COS while in London, which is really good. I hope they open in the USA soon. Acne is great and so is A.P.C..
PONY RYDER: What are your skin maintenance essentials? PONY RYDER: Do you change your skin routine during winter and summer? SUI HE: Yes, in winter I moisturize a lot, in summer I focus on whitening and UV protection. 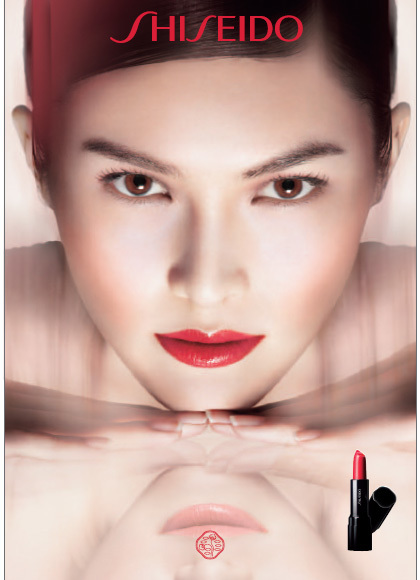 PONY RYDER: What are your favorite collection by Shiseido? SUI HE: Shiseido White Lucent collection is amazing skin care, it has a fantasic feeling on the skin, very smooth and luxurious. PONY RYDER: Favorite make up? SUI HE: I don't wear much make up but when I do its Shiseido..
PONY RYDER: When you go to big gala events, do you do your own make up and hair? SUI HE: Most of time I do my own makeup and hair, but if its something really big like the recent 120 years of Vogue event hosted by Angela Cheung of Vogue China then I have help from the Shiseido team. PONY RYDER: We love your hair! It looks so healthy! What is the shampoo you use at the moment? SUI HE: Kiehl’s and L’occitane. PONY RYDER: How often do you trim your hair? SUI HE: I do hair care twice a year. PONY RYDER: Your favorite spa in NY is…? 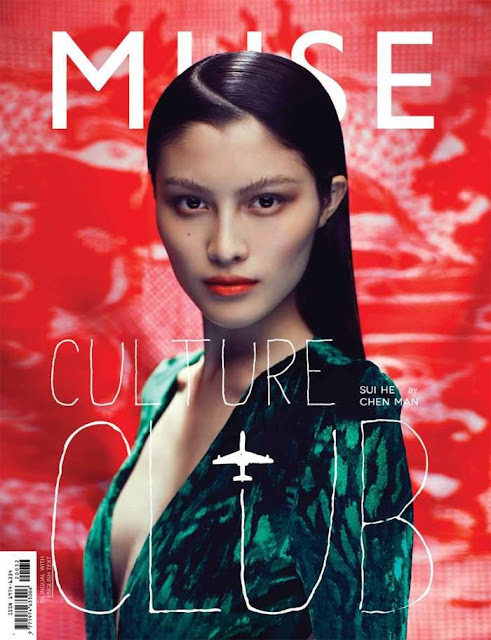 SUI HE: Bliss Soho is great, Great Jones spa is a fun place to hang out with girlfriends, they have an amazing lounge area with plunge pools and day beds. SUI HE: I like to have "Conjee" for breakfast, white rice with vegetables and meat for lunch, japanese "sha-bu sha-bu" for dinner. PONY RYDER: Your favorite Chinese food location in NY? SUI HE: Legend Restaurant Chelsea, 7th Ave between 15st and 16st, its my go to place if im feeling a little home sick. PONY RYDER: Silly question but still… If you were about to marry tomorrow, which jewelry brand would you like your ring to be? SUI HE: De Beers with a huge diamond the size of an ice cube LOL .. I think the most important thing is not where it comes from but from who and that it comes with love and commitment.